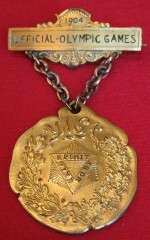 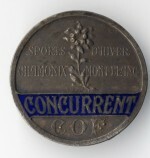 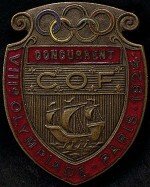 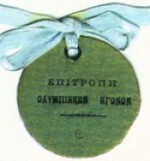 Olympic badges have their origin as identification credentials for athletes and officials at the games. 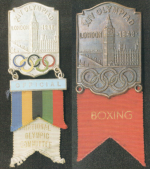 While badges today are plastic cards with holograms, magnetic strips and microchips, Olympic badges were usually made of enameled metal and often were accompanied with ribbon, they usually also noted whether the holder was an athlete, official, press member, or other dignitary. 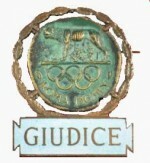 As security concerns became more serious these decorative metal badges were phased out in favor of badges which would be harder to copy or steal. 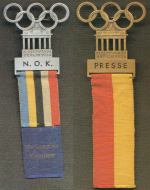 The 1976 Olympics in Montreal were the last games in which these collectible badges were distributed.